As the night of the 89th Academy Awards comes upon us, we reach the end of the 2017 awards season recognizing the greatest film achievements of the last year. With all the news coverage on La La Land, Moonlight, Arrival, Fences, and other nominees, you may be thinking that you’ve been inundated with facts and figures about this year’s nominees, and know everything there is to know. But I bet you that you haven’t heard the majority of what is on this list! 1) In the 1980s, Fences was originally being courted by Eddie Murphy, who wanted to both star in/produce the film adaptation, but playwright August Wilson wouldn’t let the film be produced unless it was directed by a black director. Fences, the acclaimed film adaptation of the August Wilson play, has racked up four nominations, including Best Picture, Best Actor, Best Supporting Actress, and Best Adapted Screenplay. But what many people don’t know is that shortly after the play’s premiere on Broadway in the 1980s, Paramount acquired the rights with the intention of attaching Eddie Murphy to star. Wilson died in 2005, but not before adapting the majority of his play into a screenplay (Tony and Pulitzer Prize winning playwright Tony Kushner finished it, but gave Wilson all the credit, which is why the nomination for Best Adapted Screenplay lists Wilson posthumously). Denzel Washington, after having performed the play 114 times in 2010 at the Cort Theatre in New York City, stepped up to direct/act in the film adaptation, realizing Wilson’s dream of having a African-American director. 2) Before Nocturnal Animals, Amy Adams and Jake Gyllenhaal were cast in another project called Ezekiel Moss, which was to be directed by the late Philip Seymour Hoffman. Before being cast in Nocturnal Animals (which earned Michael Shannon a Best Supporting Actor) both Adams and Gyllenhaal had very different plans on what project they would be working on. 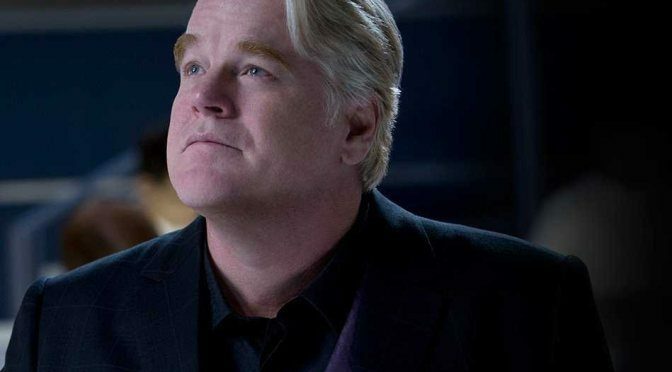 Both had originally been planning to star in Ezekiel Moss, which was to be directed by Phillip Seymour Hoffman. However, the project was scrapped after Hoffman’s sudden death in 2014. The period thriller would have followed a widow named Iris (played by Amy Adams) and her son Joel, who live in a fanatically religious small town during the Great Depression. Following the death of her husband, Iris runs a boarding house. Their lives are forever changed however when their paths cross with those of a mysterious drifter called Ezekiel Moss. Ezekiel Moss (who would have been played by Jake Gyllenhaal) would become a love interest for Iris, but Moss would soon reveal that he had the mystical ability to channel and physically inhabit the spirits of the dead. Adams had previously worked with Hoffman on three other films: Charlie Wilson’s War, Doubt and The Master, while this would have been Jake Gyllenhaal’s first film with the actor/director. The script was featured on the 2011 Black List, the infamous list of desirable screenplays that have yet to be produced. The script was written by Keith Bunin, who has written for HBO series In Treatment and Horns. Hoffman had previously directed 2010 feature film Jack Goes Boating. 3) Elle, the critically-acclaimed French film, was supposed to be an English film, but Nicole Kidman, Sharon Stone, Julianne Moore, Diane Lane, and Marion Cotillard all turned down the role. The initial plan was to produce the movie in the United States, but there were problems finding a female lead. Nicole Kidman, Sharon Stone, Juliane Moore, Marion Cotillard and Diane Lane were offered the role, but all passed on the role. According to director Paul Verhoeven, most actresses immediately rejected the part as soon as they had read the script, most likely because of the content, instead waiting for a few days as is normal procedure. Verhoeven relocated the shoot of Elle to France after being turned down by Hollywood actresses. Isabelle Huppert, considered by many to be the best French actress of her generation (and who is now nominated for Best Actress for the role) actually contacted him and said she wanted to do the movie. Although this was Verhoeven’s first film in the French language, fortunately he had been to a French school in his youth, so he picked up the language quickly. But he did go to a language institute, in his native Netherlands, to practice his French, in order to better communicate with the French cast and crew (He initially spoke English with them, but he realized it would be more efficient to speak their native tongue). 4) Justin Hurwitz, the musical composer of La La Land, wrote over 1,900 piano demos for director Damien Chazelle to discover the correct melodies for the film. I work at the piano, I come up with melodies, and send them to Damien… Along the way, he’ll say ‘Oh that’s interesting. Let me think about that’. The process continued until he says ‘I love that. That’s the one’… We keep going until there is a melody that he believes is not only emotionally right, but memorable, because that’s something really important to him…They’re going to be something that stick with people, and something you can hum as you’re coming out of the movie theatre. Hurwitz also wrote the songs “City of Stars” and “Audition (The Fools Who Dream)”, both of which are nominated for Best Song. 5) The post-production sound team of Hacksaw Ridge used variety of sounds including bumble bees, a Lamborghini, and dry ice melting, to create the sounds of gun fire. This movie wasn’t a very high budget movie—if this was a high budget war movie, we would have had a lot of money to go out and record guns to get all the correct, fresh recordings. But this was a very budget-challenged movie. The guys sourced every library that they could, that you could find online, because online now, you can find just about everything you want. They sourced material from all over the world to get the period-specific items they needed. 6) Arrival created an fully-functioning visual alien language for the film. Nominated for eight Academy Awards, including Best Production Design, Arrival boasts a fully-developed alien language, which actually is a functioning language according to linguists. The inky, circular symbols was created by Montreal-based artist Martine Bertrand (and whose son created the child drawings featured in the film). Arrival director Denis Villeneuve, screenwriter Eric Heisserer, and their teams managed to create a “logogram bible,” which included over a hundred different completely operative logograms (71 of which are actually featured in the movie). Villeneuve and the writing team took extensive efforts to ensure the movie’s scientific ideology was accurate. Renowned scientist and tech innovator Stephen Wolfram and his son Christopher Wolfram were consulted to ensure all terminology, graphics and depictions were sound. In a shot of the alien language being transformed, lines of programming language code are shown with the animation. Stephen Wolfram states in his blog that this code is written in ‘Wolfram Language’, and that it actually does perform the transformation depicted. 7) The VFX team of The Jungle Book utilized puppets from Jim Henson’s Creature Shop to stand in for the animals. As you may or may not know, The Jungle Book was shot entirely in a sound stage with blue screens (not in an Indian jungle as the film leads you to believe). Jim Henson’s Creature Shop, which specializes in the late Jim Henson’s famed puppets, supplied the production at LA Center Studio with specially-made styrofoam puppets, so that on set Neel Sethi, the young actor portraying ‘Mowgli’, would have appropriate sight lines as he recited his lines. Otherwise, they would have just used tennis balls, like normal VFX, but they wanted to make sure that Sethi had solid stand-in animals to react to. For the close-ups of the animals, the celebrity cast, including Christopher Walken, Bill Murray, and Idris Elba actually spoke the lines, using motion-capture technology, so that the VFX animators could make the animals mouths move correctly. Thanks to their hard work, the film is nominated for Best Achievement in Visual Effects. 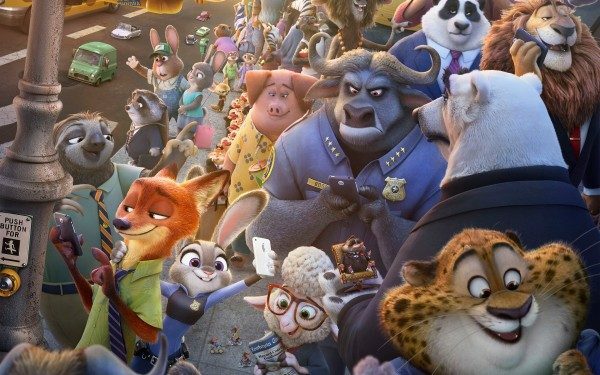 Zootopia truly earned its nomination for Best Animated Feature, as it went to great lengths to ensure that the film had universal appeal. In order to best accommodate the film in various countries, the crew at Disney had a different animal stand in place of news anchor Moosebridge that appropriately corresponds to that particular country. Disney has recently been doing this with a lot of different films, including Inside Out in 2015. In the film, the main character Riley is depicted as a toddler, and is disgusted by the vegetable broccoli. This was changed in Asian films (as children there love broccoli) to green peppers. The filmmakers also altered the hockey scenes to look like soccer/futbol scenes, as many countries would recognize that sport more than ice hockey. There is also a scene where D-A-N-G-E-R, changed for each language (even changed the direction that the character points to the characters/letters). 9) Danish actor Caspar Phillipson, the actor who plays John F Kennedy in Jackie, was found on social media, after the casting directors had looked all over the world for a JFK look-alike. After taking on the role of director for Jackie, Pablo Larrain made it clear from the beginning that he wanted to focus exclusively on Jackie’s journey (he even asked screenwriter Noah Oppenheim to delete all scenes that did not feature her from his script). In attempting to match Natalie Portman (who looks nearly identical to Jacquelin Kennedy), Pablo wanted to focus on the look of the actor, rather than the name recognition or the skills, because JFK would not be the focus. So to find the actor, they expanded their search to include actors of all backgrounds worldwide, and utilized social media to find a JFK look-alike. It was very important from the beginning to find great actors… But we were also looking for actors who were simple. We brought talent from all over the world, Europe and the States… we found him on Facebook. Phillips has done both theatre and film work in his native country, but is not even a huge star there. He lent his talents to perform the Danish voice of Prince Charming in DreamWorks 2004 movie Shrek 2. 10) Moonlight, which is said to be based on a play, was based more on a personal writing exercise of writer, who never anticipated it being performed on stage or in film. Tarell Alvin McCraney, a MacArthur Fellow and Steppenwolf Theatre member, wrote the ‘script’ during college, although it has never been performed or published (and was never intended to be). Rather, McCraney wrote the piece using the ‘script’ format simply because it was most famliar to him, and it allowed him to simply get his own feelings of being a gay black boy in Miami onto paper. The circular nature of the original script didn’t lend itself to the kind of open storytelling that I think Barry wanted, or as clearly as he managed to do so well. So he put it in a narrative linear form, still keeping the same three-part structure, just separated them into acts. So there you have it. 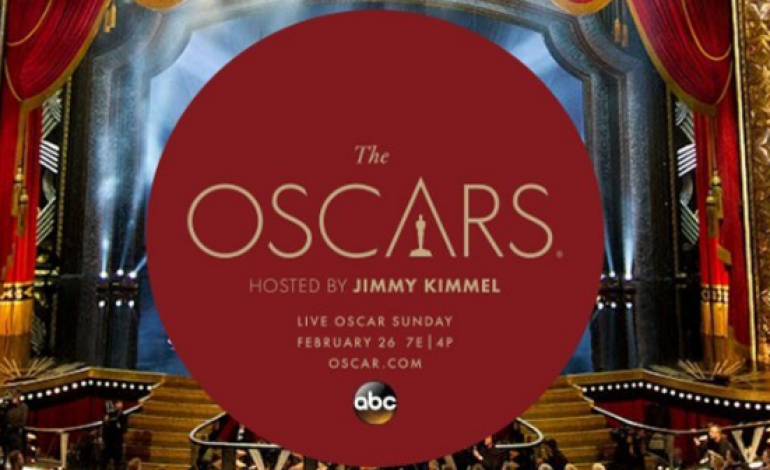 Now you know a little more about the Oscar nominees and what events and decisions led to their nominations. 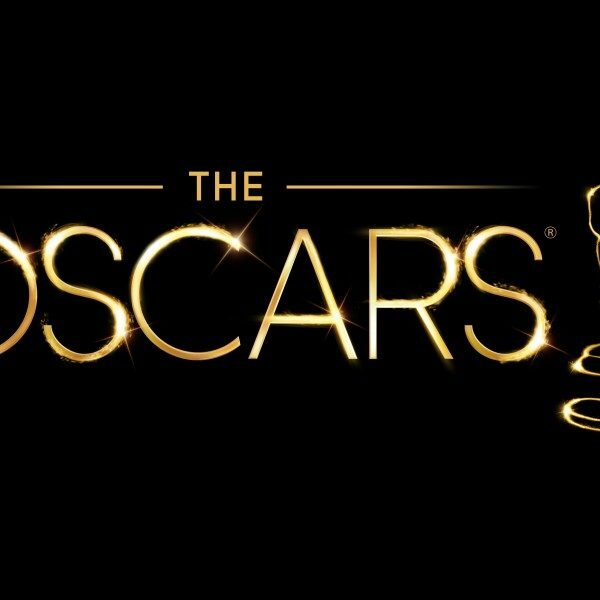 Watch the 89th Academy Awards live this Sunday February 26th at 5:30PM PST, to see which of these films take hold the gold statuettes.